Discover the perks of retirement near sunny Fort Lauderdale. 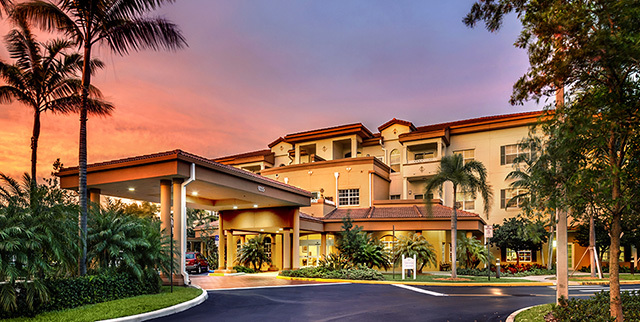 At Covenant Village of Florida, you’ll find opportunities to thrive in a senior living community that may be more affordable than you may think. You’ll swear you’re getting younger as you enjoy endless opportunities for gracious living in sunny South Florida. Take a walk around our sparkling fountain or splash in one of our pools. Savor healthy, tasty cuisine prepared with the freshest ingredients by our professional chef. At Covenant Village of Florida, you'll discover a carefree lifestyle with world-class restaurant-style dining, a state-of-the-art fitness center, social events, entertainment and opportunities for spiritual enrichment. Our residents say what they love best is the sense of belonging you’ll find here. At Covenant Village of Florida, you’ll find a wealth of events and programs to enrich your mind, body and spirit.